If you are looking for bridal henna design (laali) ideas for your Nikah ceremony or Hausa traditional wedding, then you’re in for a treat. 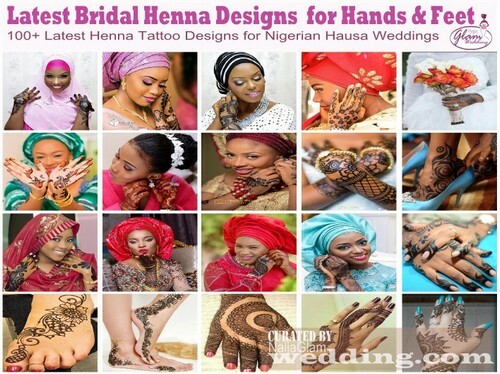 In this post, you will see over 100 images of latest Hausa (laali or lalle) henna designs on hands and feet of real Northern and Muslim brides from the simple to intricate laali (henna) tattoo designs. To inspire you, we curated the best photos of laali arts and design patterns from Nigerian weddings. To check out the henna design pictures, play the video slideshow below. What is Henna Tattoo or Laali and How is it Made? Laali is the Nigerian Hausa name for Henna. Indians call it Mehndi. You may be wondering: what is henna tattoo and what is it made from? Henna or Laali tattos are non-permanent body art using henna dye. Henna dye is obtained from dried leaves of Henna Tree, ground into powder. In its dry form, henna dye is not activated. To make dye for henna tattoo, water is added to the powdered leaves to form a paste. This paste stains the skin/ body, and does not immediately wash off. Henna stain is temporary, and lasts a couple weeks. Another use of henna is for hair conditioning. How is Lasli/ Henna tattoo applied? Laali/ henna tattoos are part of the Nigerian Hausa Muslim weddings. They are used to decorate the bride’s hands and feet. The method of application is similar to icing (cake-art). Similarly, the henna paste is put into a cone that has a small, open tip. The henna artist applies light pressure to the cone, in order to draw the desired design on the body. 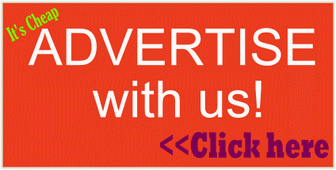 Usually, application is done by a Henna Tattoo artist. Still on bridal henna designs, the uncluttered, simple, less-is-more floral and lace patterns of henna designs on hands and feet look the most elegant. They are still elegant if they have a small dash of colour, and if the design does not cover the entire skin on the hand or feet. Hands and feet henna tattoo is one thing that many Muslim women, especially those from Northern Nigeria (hausa, fulani, kanuri etc) adore not just because it has become part of the Hausa culture but because of how beautiful the henna body art design and patterns look. While we’re accustomed to seeing the bride and her friends sit by a local henna artist to get beautiful henna body decorations a few days before the bride’s (Nikkai/ Nikah) wedding ceremony, many non-Northern and non-Muslim Nigerians believe that henna is strictly for weddings. Well, that is not true – the fact is that many Hausa women (young and old) absolutely love getting inked with beautiful floral and lace patterned henna designs on a regular basis. Thankfully, getting a henna tattoo is not painful exercise. The application of henna on brides-to-be is part of the Muslim pre-wedding/ pre-Nikah rites for brides, and it is even practiced by Muslims outside Nigeria (Egypt, Dubai, India, Pakistan, Morocco and many others). This ‘ritual’ of bridal beautification and preparation is called the ‘henna night’ – the bride’s hands and feet are decorated with henna.